Authors Want to Find Readers? 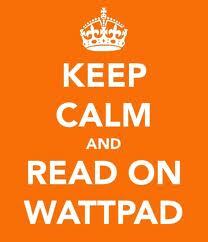 Well, Say WATTPAD? Wattpad.com is a website that claims 15,000,00 monthly users and has a tag line that calls itself – The Future of Reading. If you already know about Wattpad, please share your experience, thoughts, opinions. But I didn’t know about them, so I did some reading and am summarizing my findings here. My headline is a bold statement that sounds as if I’m endorsing WattPad, but no, not endorsing, but I got curious. And if you already know all about it – and have experience with it, positive or negative, or found it wasn’t quite ready for authors – please comment below – because WATTPAD has potential as a place to find romance readers IMHO.